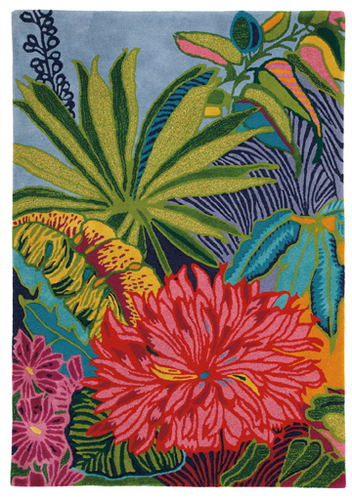 The lush, tropical flowers and foliage of Floridian islands inspired this dramatic, overscale floral, colored in gorgeous, happy hues. 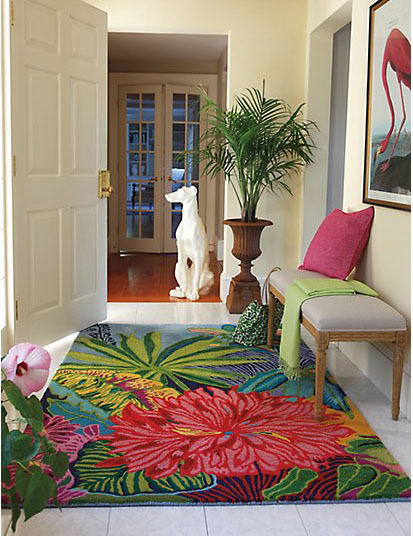 The mix of hooked and tufted wool, in high-twist yarns and mottled colors, gives the rug great texture and dimension. 100% wool, hooked and tufted. GoodWeave certified. Ships common carrier. Eligible for return; customer pays return shipping. Please view our return policy for more information.